WASHINGTON—In what opinion polls show voters view as a political ploy playing to his right-wing base, GOP President Donald Trump is declaring his 17-day (so far) shutdown of at least one-fourth of U.S. government agencies – and his lockout of hundreds of thousands of workers – will last for months or years. And that’s despite the pain he’s inflicting on the whole country. That pain stretches from trash-littered – and closed — national parks, to people going without food stamps and kids lacking school lunches next month, to air travelers already facing longer lines as unpaid airport screeners call in sick. And environmental enforcement just came to a dead halt, because 13,000 EPA workers were furloughed. 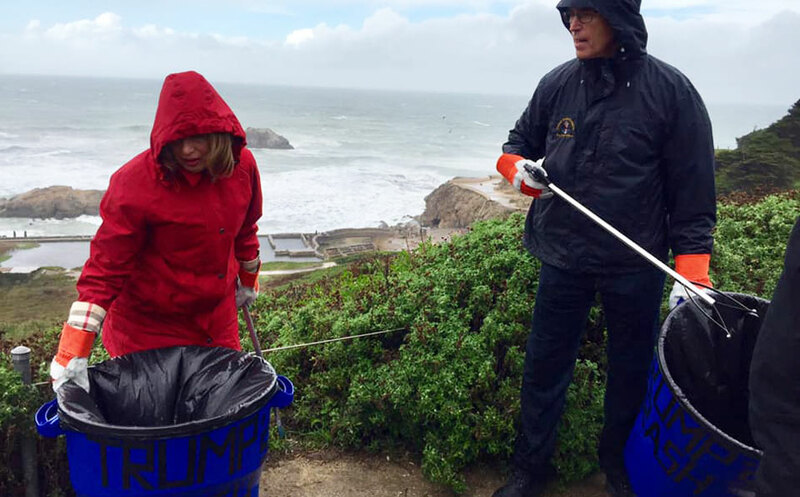 Speier and her Democratic California colleague, Jared Huffman, joined volunteers over the weekend at San Francisco’s Golden Gate National Recreation Area in picking up the trash National Park Service workers – one of many groups of workers Trump locked out and sent home – normally would gather. The difference, National Public Radio reported, is that Speier will bring the rec area’s trash to D.C. and dump it on Trump’s White House lawn as a symbol of the impact of the shutdown/lockout. 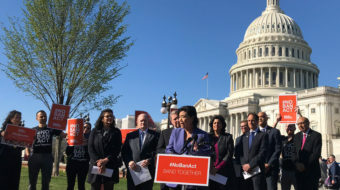 “Ending the government shutdown and putting people back to work must be the highest and only priority of the U.S. Senate,” said AFL-CIO President Richard Trumka on Jan. 7 after the Democratic-run House passed two money bills on Jan. 3 to get the government going again. Trump had furloughed – locked out – 380,000 workers and ordered another 420,000 to toil without pay. He’s also frozen rank-and-file federal workers’ pay for this calendar year, locked out or not. His Cabinet got raises of at least $10,000, though, and the lockout won’t stop their checks. Though Trump locked out the workers, Senate Majority Leader Mitch McConnell, R-Ken., won’t let them back in. He says those measures – including money for the Park Service (Interior Department), food stamps and school lunches (Agriculture Department) and the screeners (Transportation Department) – won’t come up because Trump won’t sign them. And Trump won’t sign the legislation unless Congress caves to his demand for Mexican Wall money. “If the GOP wants a wall so badly, they can try to propose and pass a bill like anybody else,” tweeted new Democratic Socialist Rep. Alexandria Ocasio-Cortez, D-N.Y. “Instead, they are seizing government operations and innocent people’s pay until they get what they want. Lawmakers will provide money: Amounts batted around range from $1.3 billion to $1.6 billion for increased border security, but are adamant about providing nothing for the wall. Trump’s base doesn’t know he hasn’t spent most of the prior wall money. But its racists and anti-Latinos love the wall and his bombast for it. 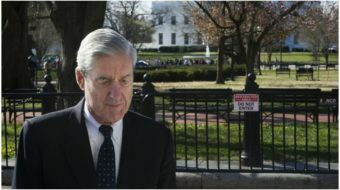 “If he gives in now, that’s the end of 2019 in terms of him being an effective president. That’s probably the end of his presidency,” Sen. Lindsay Graham, R-S.C., a foe-turned-supporter, told Meet The Press. 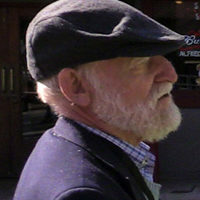 “He cannot stumble, falter or fail in making good on that fundamental promise about” building the Mexican Wall, Bradley Blakeman, a so-called “contributor” to Trump’s mouthpiece, Fox News, wrote in a Jan. 7 opinion column in The Hill. “LCV rapid response teams are pressuring key senators to get a clean bill passed to reopen the federal government and end the Trump Shutdown. No wall. No anti-environment riders,” the group declared. EPA furloughed 95 percent of its workers on Dec. 31 and shut down totally on Jan. 4. And with 85 percent of federal workers living and working outside the Washington metro area, the impact shows up everywhere from deep-blue San Francisco – the trash at the Golden Gate – to deep-red Ogden, Utah. There, the Washington Post reported, 4,000 IRS (Treasury Department) and Forest Service (Agriculture) workers are furloughed. They won’t get paid, so they’ve cut back on purchases, and Ogden’s sales tax revenue is dropping. Businesses which serve those workers – especially a local diner they patronize – are cutting back on hours for staffers. Nobody, it seems, is buying lunch.